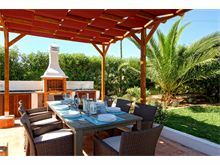 Vivenda Jacaranda is situated in a delightful rural part of Carvoeiro close to Benagil beach offering tranquillity and sea views yet is within minutes of the town centre. Set in substantial grounds with beautiful mature palms, olive, fig and pomegranate trees the garden provides a green oasis around the generous sized pool and hot tub. The interior is cool with marble flooring throughout, tastefully furnished in a modern style with all the bedrooms benefiting from en suite bath or shower room. 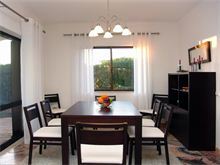 The large open plan living/dining room leads out to the covered terrace with outdoor seating and dining for eight and boasts TV, a Sonos Wireless Music System, an iPod docking station and CD player. There are a couple of delightful coved beaches that can be reached on foot plus a few local restaurants and a bar within walking distance with an excellent choice of restaurants and bars in Carvoiero a few minutes away by car or taxi. Approximately 500m from local mini-market shop and 3 kms from Carvoeiro centre and the 2kms from the nearest beach. 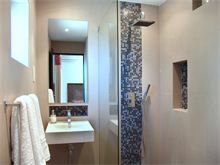 Hall, guest cloakroom with WC and hand basin, L-shaped sitting/dining room with TV, DVD, CD player, Sonos Wireless Music System, Ipod docking station, doors to a wide covered terrace with steps down to the pool terrace. 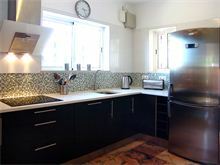 Kitchen with microwave and dishwasher. Service area with washing machine. 1 double bedroom with full bathroom en suite and doors to a terrace, 2 twin bedrooms, each with its own shower room en suite, 1 double bedroom with shower room en suite and doors to a terrace. Maid service 3 times per week. Air conditioning pool heating & hot tub heating are available at extra cost, if required. Maid service 3 times per week. Lovely villa only a short drive to the great beach at Praia da Marinha. 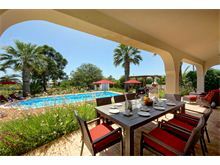 Fantastic large pool, plenty of shady lounging areas and perfect for a relaxing holiday. Toughest decision of the day was what fish to barbecue in the evening! An excellent villa for a family holiday, well maintained in an ideal location with well maintained facilities supported by an excellent local team . This was our third visit to Vivenda Jacaranda and we have reserved the villa for next year which speaks volumes for how we view the villa and the area. 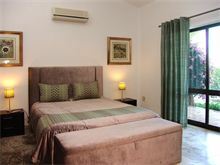 The quality of the villa itself, the furnishings and the facilities are of the highest order. 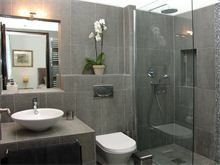 The assistance provided by the site manager was exemplary as to was the quality of the work done by the maid who looked after the internal aspects of the house. In the last year the addition of awnings to the house terrace has made dining outside even more pleasurable. All in all a delightful home for a holiday in Portugal. Lovely villa, superbly appointed with the most comfortable beds we have ever experienced in over 10 years of renting villas. This villa was everything that was described and more. Nice quiet location. Everything worked at the touch of a button. Rural but close to everything you could want. Beaches, attractions and supermarkets. House manager and maid friendly and helpful. Great villa, great customer and local agent service. Perfect. Absolutely beautiful villa in a beautiful setting. 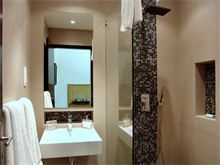 This is our second stay in this villa and our fourth holiday through Affinity Villas. 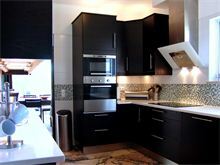 Jacaranda is pure luxury and the facilities are second to none. A lovely quiet location just ten minutes drive from the main town. The maid is super friendly and kept the villa impeccably clean all week. What a relaxing much needed break. We will definitely be back. This villa really lived up to our expectations. One of our party was in a wheelchair and this place worked well for her. 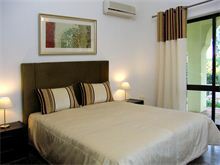 The property, gardens and pool are maintained to a high standard, the decor is modern and tasteful and the furnishings, both inside and out, feel new and very comfortable. The location is really peaceful and only a few minutes drive into the village which offers lots of choice of good quality restaurants and shops. Highly recommend!! 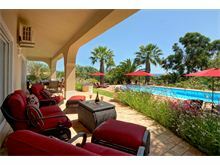 Superb villa, very well equipped with a stunning outside area. Pleasant villa in good location. Garden was like an oasis. Five of us had plenty of room around the villa. Outside furniture was extremely comfortable and relaxing. Kitchen was well equipped. All staff from the maid to the Gardner were very pleasant. 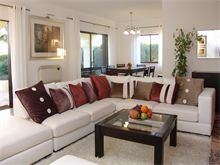 This is an absolute fantastic villas with every facility you could ask for in an excellent location. I would strongly recommend it. The service from local staff an Affinity Villas was superb. Book and enjoy. 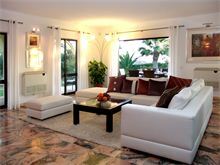 This villa was very spacious & well equipped for three generations of our family. Having the pool heated was well worth it as it meant the young children could swim & play without getting cold. The location was quiet & some beautiful beaches were close by. I would definitely recommend a holiday in this villa. Having just arrived home from 1 week at Vivenda Jacaranda with 3 generations of family, I can truly say it was excellent. The villa catered for all our needs plus more. The ensuite bathrooms were a bonus, the kitchen had everything we needed, BBQ area was fab and the comfiest sun loungers I've ever experienced. The setting was beautiful & relaxing, yet close enough to walk to the mini-mart and some lovely restaurants. Would definitely recommend a holiday here. We will no doubt be returning again soon. 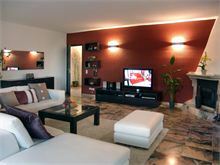 Lovely villa, very clean with lots of equipment. The Villa is relatively secluded although there are the odd neighbour scattered about. A leisurely 15 minute walk for 60 year olds encompassed a supermarket and three restaurants with a few more not too far away. Carvoeiro is a 10/15 minute drive away with all of its facilities. 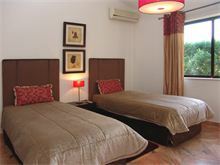 The villa has good quality fittings and everything a family would want for a relaxing holiday. We had the pool heated which was a boon and we found the air conditioning to be essential when the temperature approached 100f for a couple of days. Excellent villa for our three generation party (aged 6 to 69). 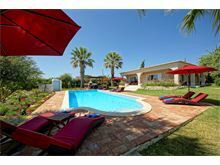 A wonderful break in a villa which had everything all three generations could wish for.